You can usually get away with talking and writing rubbish about other countries because most of your audience knows even less about them than you do. Switzerland is a particular victim of this. Even neighbouring countries with a language in common frequently get hold of the wrong end of the stick. For example, Germans who move to Switzerland are often astonished by the differences between the two countries. In English-speaking countries the list of incomprehension of the Swiss is long: we only need to mention Orson Welles' crazed cuckoo-clock adlib in the film The Third Man, the smears about 'numbered bank accounts', Nazi gold, armaments dealing, SPECTRE and now FIFA. Need I go on? Now that Britain is about to plunge into a referendum on its continued membership of the EU, the Swiss relationship is being adduced as a model for the relationship between Britain and the EU post Brexit. This blog has made the point elsewhere that such a relationship is the last thing anyone should be wanting. The current status of that relationship, expressed in the broad brush terms that are a speciality of this blog is that in general the Swiss hate the EU and the EU hates the Swiss. In a recent article, Pascal Couchepin, a minister of the Swiss government from 1998 to 2008, made it clear that such a relationship was not to the benefit of either party. 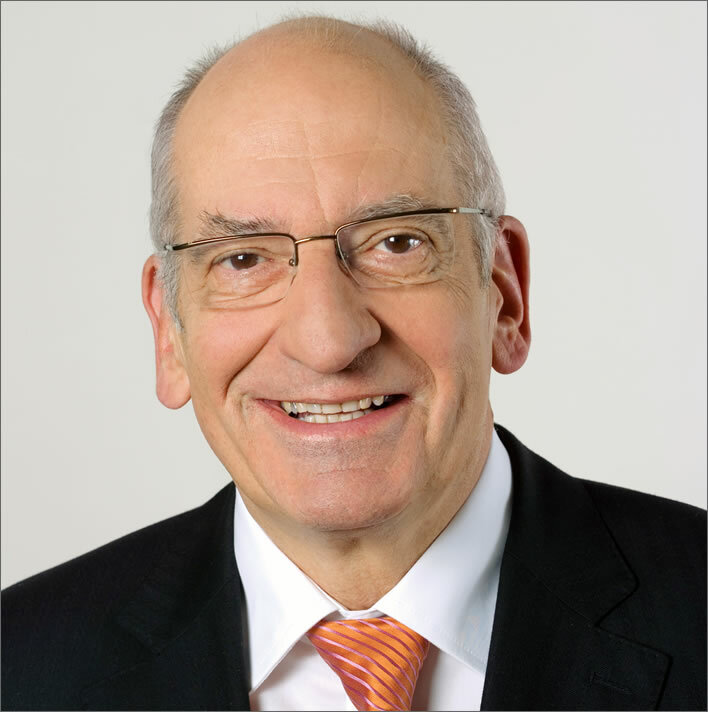 Bundesrat Pascal Couchepin in 2009. Image: Swiss Federal government. In fact, Switzerland does not have a 'deal', it has around 120 bilateral agreements with the EU. Negotiations took several years to complete – more than the two years which the UK would have to renegotiate its relationship with the EU, according to Article 50. Given the complexity of the Swiss bilateral agreements, it isn’t clear that EU member states would be willing to replicate this structure with another country. Read the original. But I can condense what he says into one of our broad brush strokes, even getting down with the kids for once: Switzerland has been totally pwned by the EU. All the bilateral agreements have been at heart expressions of Swiss submission: all these 120 bilateral agreements have essentially the same EU text: do this and we'll let you survive, this tiny patch of Switzerland surrounded by the EU. When you have nothing to bargain with, all Swiss compromises become capitulations. For this 'access' Switzerland has had to accept an open borders policy and huge piles of EU law and regulations. The EU, on the other hand, has got almost everything it wanted. There are some interesting parallels with Britain. In September 2011 the Swiss National Bank (SNB), the value of the Swiss Franc soaring, attempted to shadow the Euro. This period was reminiscent of the way that John Major and Norman Lamont tried to track the Deutschmark in the European Exchange Rate Mechanism (ERM) in the 90s. The policy was a disaster resulting in the crash of Black Wednesday on 16 September 1992. Although not quite so dramatic, the Swiss attempt to fix a ceiling for the CHF/EUR exchange rate at 1.20 also came to a bad end. On 15 January 2015 the SNB ran out of steam and overnight allowed the Swiss Franc to jump rapidly, much to the dismay of Swiss exporters, the surprise of the stock market and the extreme annoyance of the present writer. Couchepin is absolutely right to point to the serious deficiencies of the relationship between Switzerland and the EU. But nothing is as it seems in this world, especially in Switzerland. Couchepin, who has always been regarded as a bit of a special case, even by his own party – special cases are a speciality of the canton of Valais, Couchepin's home territory – is looking at this from a narrowly French-speaking (his wife is from Paris) and big business perspective. The French made him an Officier de la Légion d’Honneur, he's a keen global governance man and a Bilderberg participant. If the UK were to vote to leave and wanted to retain access to the Single Market, the European Economic Area, working alongside allies in Norway, would be the natural place from which to minimise damage to the UK economy. However, both the UK and Norwegian governments have warned of the constraining implications of this so-called 'Norway model' when compared to full membership of the EU and its Single Market. My sense is that, just like Switzerland, the UK currently has a unique deal which fits its specific situation and ambition. And just like Switzerland, the UK has proven it can negotiate to secure an even better deal – in the British case, by adding protections as a non-euro state to the opt-outs from Schengen and other justice measures, while retaining full access to the internal market. Now it is Couchepin's turn to lack an understanding of other people's countries, in this case Britain's current role in the EU. In the EU there is no room for special cases: these 'better deals' that Britain could negotiate are pure fantasy. Couchepin just does not get the nature of the EU, seemingly thinking that it is just some sort of Swiss Confederation with lots of Swiss compromises. British people had to watch the spectacle of their Prime Minister, alone and outnumbered on all sides, go through a humiliating negotiation with a mob of European leaders in order to achieve nothing, absolutely no binding agreement at all. Whilst some of the colleagues kept him busy and sleepless, others could take turns to go off and have a rest, even, famously, snack on a bag of Belgian chips during an evening stroll. The Brits may misunderstand Switzerland, but the Swiss can also misunderstand the Brits. Confusion works both ways. ^ It is only fair to point out that Couchepin had an unusually chequered ministerial career and was even attacked by the normally docile and deferent Swiss media. I don't have space here to do this justice, only to note, once more, that things are not always as they seem.